There is the need to intensify the fight against illegal rosewood harvesting in the three northern regions as it is destroying the few forests and polluting water bodies. 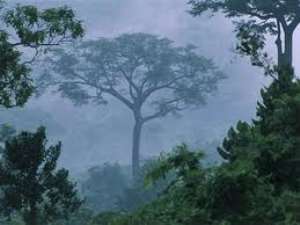 The erratic rainfall pattern in northern Ghana, which is having adverse effects on agriculture, could also be blamed on the destruction of the forest by people in search of rosewood trees. Mr Abu Kabiebata Kansangbata, Acting Executive Director of Savannah Development Policy Think Tank, said there is the need for government machinery to marshal the same forces and commitment as it is being done in the fight against illegal mining to help forestall the destruction of forest cover in northern Ghana. Mr Kansangbata, who was speaking in an interview with the Ghana News Agency, said the time has come for government to stop paying lip service to the issue and take concrete steps that would arrest the problem. He urged government to form an anti-rosewood task force just like it did for the 'galamsey' fight, arguing it was the only way the fight could be won. 'All the time successive governments issue notices of bans on rosewood harvesting and yet the practice is going on deep in the forest', he said. He appealed to Members of Parliament (MPs) from the north to treat the issue as urgent and raise it on the floor of parliament for government pay more attention to the concern. Mr Kansangbata expressed worry that activities of the chainsaw operators have started affecting the Wechiau Hippo Sanctuary in the Wa West District which was raking in lots of revenue for development.